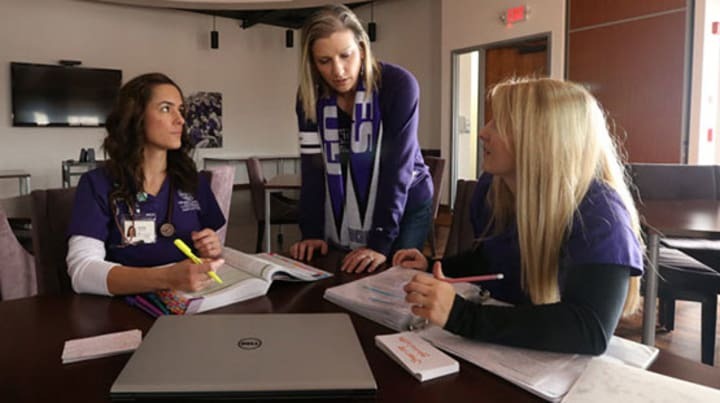 Grand Canyon University (GCU) knows that healthcare's increasing complexity means today's healthcare degree programs must advance your capacity to creatively respond to changes in nursing, direct care and healthcare administration fields. With healthcare's rapid growth - the Bureau of Labor Statistics projects a 19 percent rise in registered nursing jobs and 23 percent rise in healthcare administrator jobs between 2012 and 2022 - it is an excellent time to pursue your education. Earn one of our healthcare degrees on our main campus, or choose from our online degree programs. The RN to BSN can help you take your career to the next level. Or, fast track your education by choosing our RN to MSN. We also offer healthcare degrees, including our Bachelor of Science in Health Care Administration and our Master of Science in Health Care Informatics. Whichever path you choose, you can be sure you will receive a quality education from the context of our Christian heritage. GCU's online nursing degreesoffer convenience and flexibility. 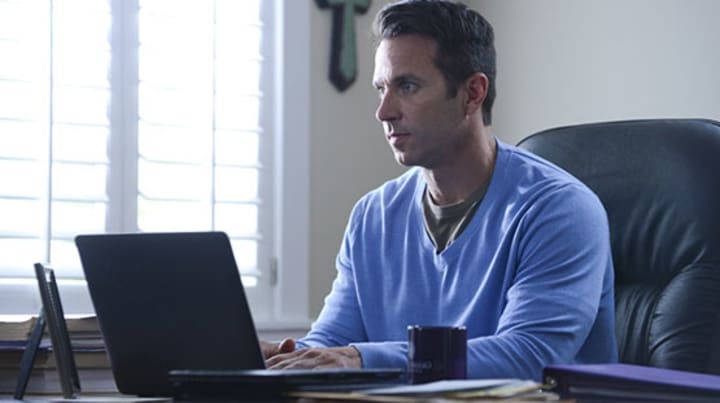 Maintain work-life balance while still earning a high-quality education, with classes taught by full-time faculty members and fully trained adjunct instructors. Our online nursing programs include our masters in nursing, RN to BSN, BSN to MSN Fast Track Option and DNP online. Interested in entering the healthcare field? Find a rewarding career in healthcare industry by earning a bachelor's degree in healthcare administration, health sciences or nursing. Our undergraduate healthcare degree programs prepare you to fill evolving roles in the industry, with an emphasis on health, wellness, safety and quality care for patients of all ages. Prepare to effectively manage contemporary healthcare systems by earning one of GCU's healthcare management degrees. These master's degree programs include our Master of Public Health and Master of Science in Health Care Administration, and help you prepare you to address the needs of a variety of organizations by filling leadership roles. The College of Nursing and Health Care Professions offers classes to help you fit education into your life. Explore our satellite campuses, or choose to earn one of our degrees online and experience the vigorous capabilities of our dynamic online learning classrooms. We also offer evening classes that provide convenience for working professionals. Take a look at our campus extension locations to find classrooms near you. Nurses who are prepared with a Bachelor of Science in Nursing (BSN) are highly valued by healthcare employers, particularly medical organizations that are interested in obtaining or retaining Magnet status. Magnet status is recognition by the American Association of Colleges of Nursing and awarded to organizations that provide excellence in patient care. Our College of Nursing and Health Care Professions offers a registered nurse (RN) to BSN degree option that employers may value, as well as Master of Science in Nursing (MSN) programs in relevant specialties such as public health and informatics. Acceptance into the Bachelor of Science in Nursing Pre-Licensure program is competitive. Not all students will be admitted into the clinical coursework, which begins in the junior year. Acceptance is determined by a stack-rank according to the nursing admission criteria and the availability of clinical spaces. You are also required to take the HESI A2 exam for admission into the program. Exam dates are available on GCU’s campuses at different times during the year. Speak with your admissions representative or visit gcu.edu/BSNRequirements for more information. Students who currently hold an RN and who intend to seek their master’s degree can choose one of two efficient paths to their advanced degree. Ask about our fast track and online bridge programs that allow you to plot a faster course from your RN to MSN. The College of Nursing and Health Care Professions offers a full spectrum of nursing degrees, from a pre-licensure BSN degree to a Doctor of Nursing Practice (DNP) program. Our MSN degree offers multiple emphases including public health, informatics and education, as well as family nurse practitioner and acute care nurse practitioner. These degrees prepare advanced practice registered nurses (APRNs). Are you looking for an RN to MSN program to help you take the next step in your nursing career? An MSN augments your skillset and provides greater application of theory to solve real-world health challenges. At GCU, RN to BSN candidates who are interested in earning an MSN can accelerate their nursing education and career through a fast track option. Both the BSN and MSN degrees can be earned in about 30 months, offering you two valuable career credentials in less time and for less overall cost. For more information, call 855-GCU-LOPE. BSN-prepared nurses looking to become leaders in the field may be considering a BSN to DNP program. For nurses looking to further their education with a goal of roles in nursing leadership, GCU offers a time-efficient pathway. You may be able to earn both your MSN in leadership and DNP in leadership in just 3.5 years, saving you valuable time while still allowing you to advance your education. Learn more about this pathway from BSN to DNP by calling 855-GCU-LOPE. If you are interested in strengthening skills in health administration management or public health, or if you would like to prepare to work as an athletic trainer, the College of Nursing and Health Care Professions can help you take a step up. We offer an array of healthcare degrees in diverse fields to help you to serve and lead in the dynamic healthcare industry. The mission of the GCU athletic training program is to prepare you to become a superior quality athletic training professional while teaching you to become a global citizen, critical thinker, effective communicator and responsible leader. The objectives of program are to provide student athletic trainers with exceptional learning experiences to gain the knowledge and practical skills required to be a highly competent, functional and well-rounded athletic trainer. GCU's athletic training program also features Fushionetics, a high-tech system that helps athletes reduce injuries, optimize performance and enhance recovery. GCU is one of the few places in the country to use Fushionetics to help sports teams stay on top of their game. Acceptance into the athletic training program is competitive and takes place during the spring semester of the first year. Not all students will be admitted into the clinical coursework, which begins in the sophomore year. Specific prerequisite courses must be taken prior to applying for admission, and clinical course requirements must be met in order meet CAATE accreditation standards and guidelines, as well as liability and health precautions. For more information about this program, call us at 855-GCU-LOPE. 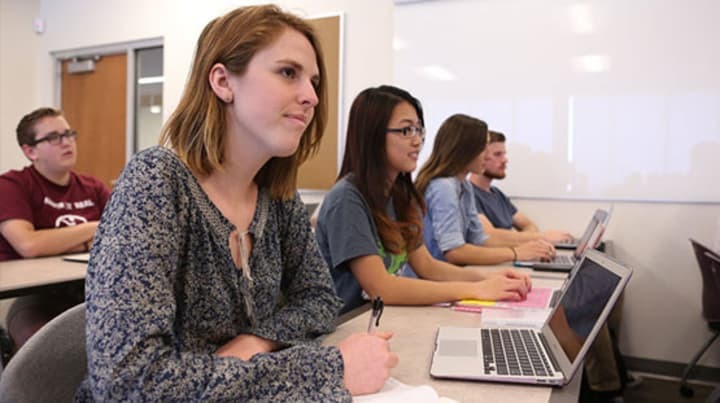 High school students have a convenient, affordable way to get a head start on college classes with GCU's dual enrollment program. By attending college-level courses online while completing high school, you can experience college and earn college credit. 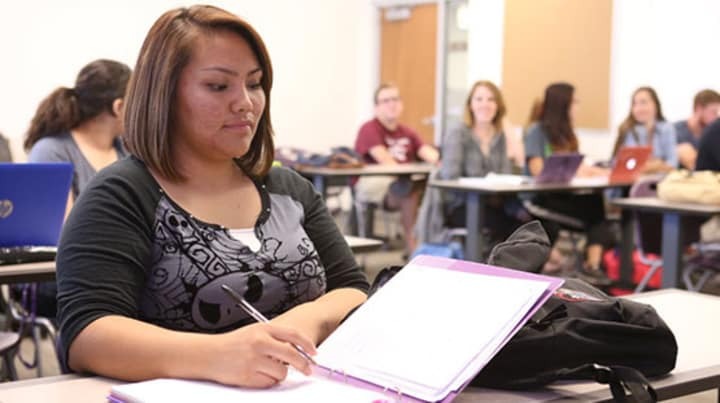 GCU serves both degree-seeking students and students who just need to take a class or two. You can take many bachelor's and master's classes as individually — and they are conveniently available online. If you are a traditional campus student who would like to add another credential to your primary degree, explore how adding a minor to your program can help you gain a competitive advantage. GCU offers registered nurses who are enrolled in the Maricopa County Community College District or who hold a bachelor's degree in another field a faster way to their MSN degree.